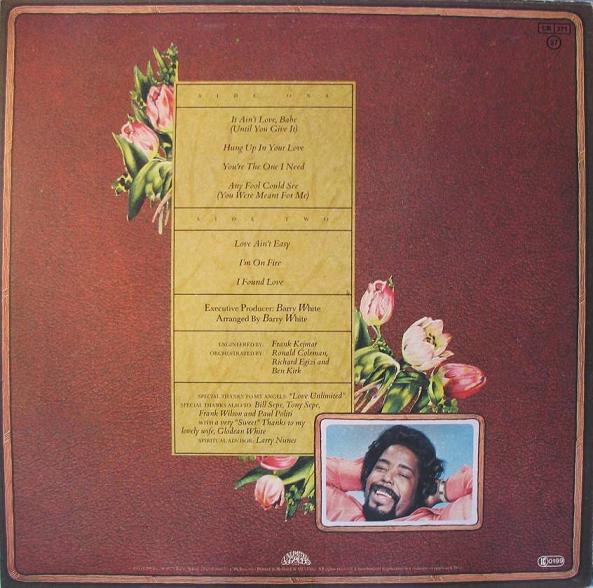 This was Barry White's first album for CBS Records, after six successful years with 20th Century Records. It was certainly not a bad album, not by any stretch of the imagination, but, unfortunately, it heralded a decline in his career that he would only briefly recover from. Personally, I have all his albums up to this one, so this is where I turn off the road too. It has been a smooth, smoochy journey, however, and a most enjoyable one. "It Ain't Love, Babe (Until You Give It)" is a pumping, horn and percussion-driven lively disco number. It is a solid, rhythmic and in possession of a strong, confident vocal too. "Hung Up In Your Love" is a lovely sounding number, with addictive cymbal work and a deep bass line. The horns are good too and the vocal is jazzy and laid-back. It is a gently breezy, slightly jazzy number in its feel. Both these tracks differ slightly from the material White had put out over the previous six years. "You're The One" is a beautifully semi-funky, insistent, grinding soul slow burner. I love the feel of this track, actually. Beautifully sung and featuring another sublime bass groove. The strings are gorgeous too. Barry goes all toe-tapping and finger-snapping on the jaunty "Any Fool Could See (You Were Meant For Me)", which is a horn-powered disco groover. All those lengthy smoochers from 1973-74 seem a long time ago at this point. 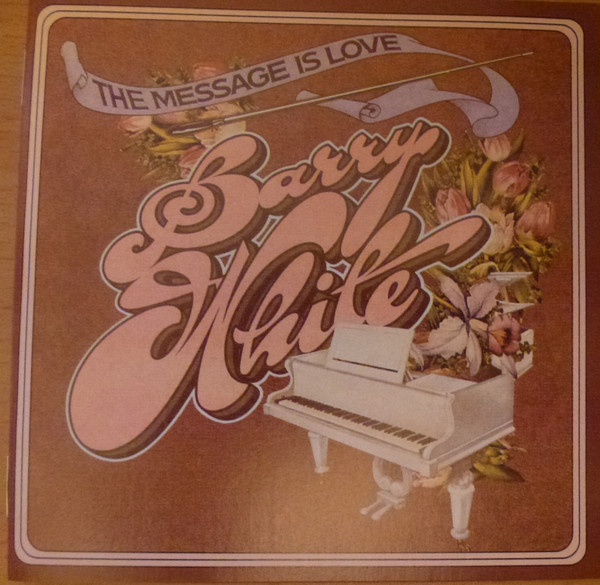 Surely it was time for a bit of trademark Barry White "lurrve" and we duly get it on the smouldering, gruff tones of "Love Ain't Easy" which has time flashing by in front of your very ears. The sound is top quality on this album as well, I have to say. This track has that "Just The Way You Are" feel to it. Sweet soul. Lovely saxophone on it too, just as on the afore-mentioned hit. Lovely easy listening horns come in at the end as well. 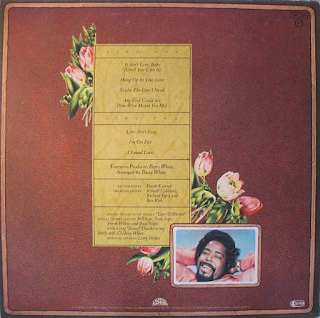 "I'm On Fire" is a typical end of the seventies laid-back soul number. Nice late night stuff. All gentle brass and sweet backing vocals. "I Found Love" ends the album with a spoken intro straight out of the mid-seventies and once again familiar string orchestration and mid-range vocals from White. It is quite apt that my own particular journey with Barry White's music ended with this very Barry White sort of number. It is lifted by some sumptuous brass, though, in a way that earlier material was not. White would briefly re-surface with a hit in "Sho' You Right" in 1987, but, to all intents and purposes, his glory days were over now. They were great days, though. Thanks for the memories big man.